Jonathan Pollard has been languishing in an American jail for over 22 years - for a crime whose average sentence is 4 years! Pollard, while working as a naval analyst, came across some information vital to Israel's security. Despite being forbidden to hand over the essential information about Syria and other Arab countries military capabilities, Pollard knew that his duty was to help the Jewish People. 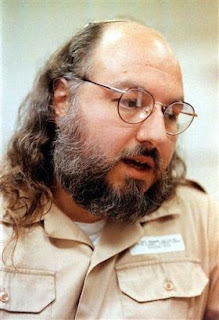 When Pollard fled to the Israeli embassy in Jerusalem, he was betrayed and handed over to the Americans. He was charged with giving information over to an ally which normally results in a 4 year sentence. Jonathan is serving for life. We appeal to you as President of the greatest power on earth, the epitome of compassion and generosity, to grant clemency to Mr. Jonathan Pollard who has been incarcerated for more than twenty years. Jonathan has served 22 long years of torture and hardship. For years he was locked in solitary confinement and was forbidden to see the light of day. He has been separated with form his wife for 22 years. Jonathan, we're waiting for you at home. Tomorrow, February 29th, on the Jewish Calendar is the Fast of Esther. This day commemorates the day when the Jews of ancient Persia fasted and prayed to avoid annhilation at the hands of the evil vizier Haman. Haman was eventually hung and the genocide averted. 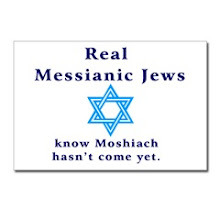 Isn't it ironic that today, a new Haman has arisen from Persia (Iran) and seeks the destruction of the Jews? I call upon every single Jew to fast and every person, Jew and non-Jew, to pray to G-d to save Israel. Pray that Ahmadinejd be defeated. 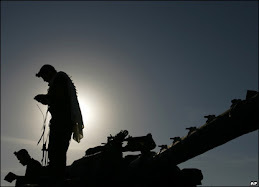 Pray for the safe return of Gilead (ben Aviva) Shalit, Ehud (ben Malka) Goldwasser and Eldad (ben Tovah) Regev, the three Israeli soldiers who are still in the hands of Hizbullah terrorists. Pray for the release of Jonathan Pollard, who is still languishing in an American jail for giving to Israel information concerning it's safety. Pray for the Jewish People and for peace and freedom throughout the world. Amen. TEL AVIV – The ruins of two large synagogues in Gush Katif, the evacuated Jewish communities of the Gaza Strip, have been transformed into a military base used by Palestinian groups to fire rockets at Israeli cities and train for attacks against the Jewish state, according to a senior terror leader in Gaza. When Israel withdrew from the Gaza Strip in August 2005, it left in tact 20 synagogues of the Gush Katif Jewish communities following an Israeli Cabinet decision against demolishing the structures. Immediately after the Israeli evacuation was completed, Palestinians mobs destroyed most of the Gaza synagogues, including two major synagogues in Neve Dekalim, the largest Gush Katif community. In front of international camera crews, the Palestinians ripped off aluminum window frames and metal ceiling fixtures from the Neve Dekalim synagogues, which were situation close to each other in the center of town. 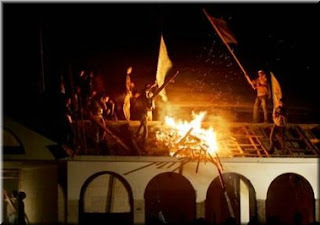 Militants flew the Palestinian and Hamas flags from the structures before mobs burned down the synagogues. Speaking to WND from Gaza, Abu Abir, spokesman for the Popular Resistance Committees terrorist organization, said the area where the synagogues once stood now is used to fire rockets at Israel. "We are proud to turn these lands, especially these parts that were for long time the symbol of occupation and injustice, like the synagogue, into a military base and source of fire against the Zionists and the Zionist entity," Abu Abir said. "The liberated lands of the destroyed ugly and Nazi settlements [Gush Katif] is our property, and we have the right to do whatever we feel is suitable for the struggle against the occupation and for the general interest of the Palestinian people," the Committees leader said. 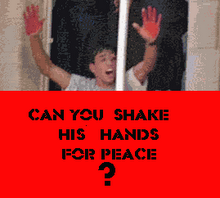 How long until we realize that the Arabs don't want peace? How mnay more dead Jews? How many more lives destroyed? How many more orphaned children and widowed wives? Shame on Olmert for allowing this. The Religion of Peace strikes again! Sunni and Shia Muslims hate each ohter with a passion that rivals their hatred of the Infidels. What should be done? How can we stop the violence? What did the US do? How can we bring stability to Iraq? The answers to those question are : nothing; we shouldn't; nothing and we should be doing the opposite, respectively. 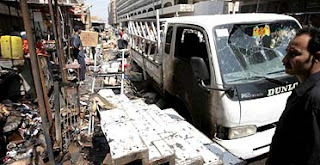 The Muslims world is replete with ethnic and religious tensions. Us Infidels should EXPLOIT those tensions. If the Muslims are busy killing each other, they will be too busy to kill us. The US should partition Iraq into Kurdistan, Shialand and Sunniville and declare solidarity with the Kurds. This could start a wave of non-Arab nationalism in the Muslim world. Iran can barely control its many minorities and could not survive a Kurdish uprising and neither could Syria. These independent non-Arab countries, with some education, may realize that Islam is a tool of Islamic imperialsim and reject it. See how Muslims love each other! Today, Erez Levanon, Zt"l, a 42 year-old Judean and Samaria settler who was stabbed to death by Arab terrorists, was laid to rest in a Gush Etzion cemetary. He loved his People and his Land. 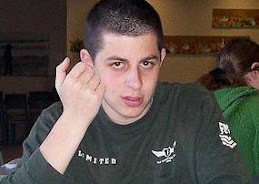 Erez was murdered by Arab terrorists who hate Jews and who hate life. Vengeance is in order. 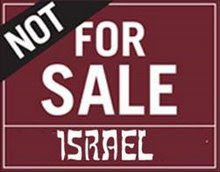 Jewish blood does not come cheap. The UN and Jimmy (Dhimmi) Carter seem to agree with each other. The UN recently released a statement saying that Israel practices apartheid in the "territories". This charge can only be held together by a combination of anti-semitism and pure unadulerated stupidity. 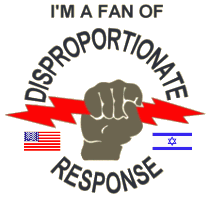 Israel DOES practice discriminatory measure against Palestinians but not because of racial reasons. Israel is the most diverse country in the Mid-East. Arabs can vote, drive, hold office... Palestinians however are subject to extra scrutiny for security concerns, obviously. 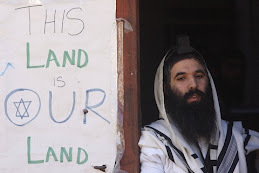 The REAL apartheid is what's going on at the hands of the territories. Bethelehem , which used to be majority Christian, is now three quarters Muslim. Women are forced to veil themselves. Gays are executed. End the Apartheid- The Palestinian Apartheid against non-Muslims. 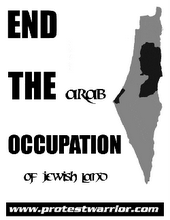 End the Occupation- the Arab Occupation of Jewish land! A recent worldwide poll concluded that 56 % of people believe that it is possible to find common ground between Islam and the West and that the two are not in an inevitable clash. I see that the jihadist lobby in the US, Canada and Europe has really succeeded. 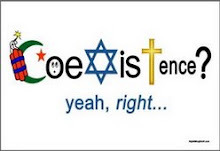 How can we find a common ground with a religion that tells its followers: "Believers, do not chose the infidels rather than the faithul for your friends" (Quran 4:146)"Believers, take neither the Jews nor the Christians for your friends. They are friends with one another. 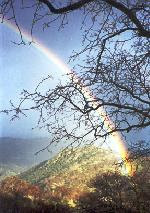 Whoever of you seeks their friendship shall become one of their number. Allah does not guide the wrongdoers" (5:51) Islam teaches violence and regards non-Muslims as inferiour. Negotiations- no thank you. 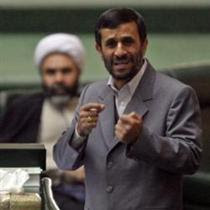 'For Zion's sake I will not be silent, for Jerusalem's sake I will not rest' President Ahmadinejad of Iran has announced that Israel must be 'wiped of of the map' He has called the Jews 'the embodiment of evil' and to make matters worse, he is building nuclear weapons. He has already funded Hizbullah and through them started a war with Israel. 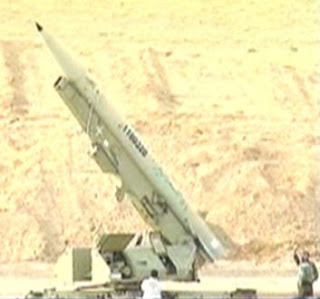 What is Israel waiting for? It's 1939 all over again and the world is still hesistating. The Temple Mount- Judaism's most holy site. On it stood the First and Second Temples and on it will stand the Third Temple, may it be rebuilt speedily in our days. Over thousands of years, Jews were denied access to this holy spot. During the 67 war, Israel liberated this holy mount. Instead of guaranteeing full access to Jews, control of the site was turned over to the Wakf, an Islamic Council. 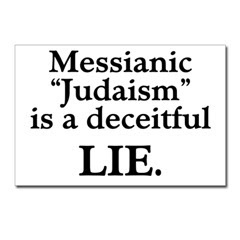 This council has consistently denied the Jewish connection to the site and destroyed archaeological evidence proving Jewish presence there. Like Arafat (may his name be obliterated) said "For 34 years [the Israelis] have dug tunnels [around the Temple Mount]…they found not a single stone proving that the Temple of Solomon was there, because historically the Temple was not in Palestine [at all]. They found only remnants of a shrine of the Roman Herod… They are now trying to put in place a number of stones so that they can say 'We were here.' This is nonsense. I challenge them to bring a single stone from the Temple of Solomon." This is all an Islamic propaganda attempt to undermine Jewish sovereignty in Israel. 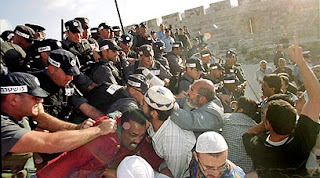 Now, as Israeli archaeologists are preparing to excavate around the mount and to rebuilt the only gate allowing non-Muslims access to the site, Muslims are rioting, claiming that Israeli is trying to destroy the Al-Aksa Mosque. 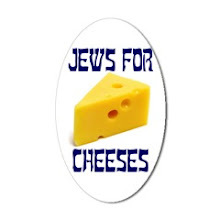 Not only has Israel not retaliated, it is cowtowing to these anti-semites! How long will we be denied access to the Temple Mount? How long will Zion be in the hands of our enemies?